Looking for the best web hosting service on the market? Then you’re in the right place. Choosing the best web hosting is a critical part of building a successful website. While most website owners understand the value of creating and publishing epic content on their site, they often undervalue the importance of selecting a good web hosting service. Not every web hosting service is created equal. If you end up making the wrong choice when deciding on a web host, it could potentially impact your SEO rankings, revenue, and overall traffic. This web hosting review was created with a single goal in mind: Help our users choose the best web hosting service easily. Unlike other sites, we’ve actually signed up for dozens of web hosting services and reviewed them personally, so you can confidently choose the right hosting provider to perfectly fit your needs. We’ve mirrored the production environment on these test sites with dummy content and conducted a few different speed tests. That way, you can see how the server would perform in a real life environment. Let’s get straight to the top web hosting companies starting with #1 on our list. Bluehost is one of the oldest, largest brand names when it comes to web hosting. 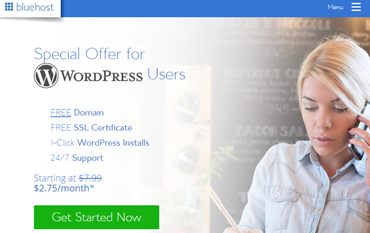 They’re an official WordPress recommended hosting provider. Bluehost provides you with everything you need to get your website up and running. When you sign up for a hosting account, you’ll get a free domain name and free SSL certificate along with 65% off the hosting fees. Bottom line: Bluehost is the best choice for anyone who wants to start a WordPress blog or a website. Unlike most other web hosting services, Bluehost provides a great onboarding experience, which is immensely helpful both for experts and novices alike. Pricing: Regular price starts at $7.99 per month. SiteGround is one of the few top hosting brands that’s not been acquired by Endurance International Group, a leading web hosting company. They’re one of the few companies offering location-specific hosting with 3 data centers in the USA, Europe, and Singapore. That means, based on your user base, you can choose the most optimal data center for your site when setting up a hosting account. Speed technologies: Files are stored in SSD (Solid State Drive) storage as opposed to HDD (Hard Disk Drive), which has proven to boost page loading times. They also offer enhanced performance with NGINX, and free CDN. Optimized solution: SiteGround comes with a WordPress performance solution that helps you dramatically speed up your site by reducing the unnecessary bandwidth consumption. Proactive security: SiteGround’s server firewall patch against common security threats and automatically updates your plugins so you can have a peace of mind. Bottom line: Choose SiteGround if you want an affordable web hosting service that focuses on speed. If you’re tired of an unreliable hosting service, then you might give SiteGround a try. With their free Migrator plugin, you can bring over your WordPress site in just a few clicks and enjoy the super fast hosting environment. HostGator is one of the most popular cheap hosting providers which offers affordable starter plans and easy setup. HostGator offers a vast array of tools that helps you quickly build a website with ease, including free website builder, unmatched US-based customer support, unlimited disk space, bandwidth, and email addresses. All web hosting plans come with cPanel, which is the most popular hosting control panel in the world. If you’re not completely satisfied, you can cancel your account within 45 days for a full refund. 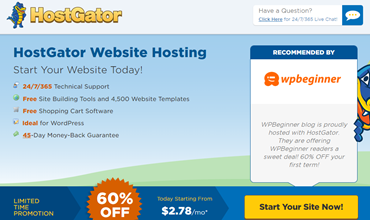 Bottom line: Choose HostGator if you’re looking for a cheap-yet-reliable web hosting provider. 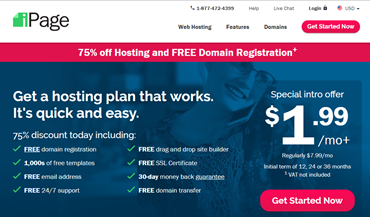 Unlike other web hosting providers, HostGator offers a vast array of tools for building a website quickly and easily even with their most basic starter plan. 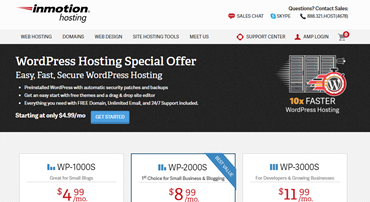 DreamHost is one of the officially recommended WordPress hosting services by WordPress.org. They currently host around 1.5 million sites, blogs, and applications. With DreamHost, all hosting plans are backed by their unmatched 97-day money back guarantee so you can start your website risk-free. Unlike most web hosting providers, DreamHost is independently owned and operated. They only use SSD storage, which is 2x faster than servers using old school HDD drives. Bottom line: If you’re starting out and are looking for an affordable hosting provider that uses SSD storage and also offers a 3-month money back guarantee, then look no further than DreamHost. GreenGeeks is the industry’s leading eco-friendly web hosting provider. As a brand, GreenGeeks emphasizes their commitment to the environment. They put back 3 times the power they consume into the grid in the form of renewable energy to reduce their carbon footprint. Best of all, you can subscribe to one of their hosting plans without worrying about annoying upsells or hidden fees. However, if you opt for a monthly billing cycle, then you’ll have to pay a $15 setup fee. You can waive off the setup fee by choosing an annual or longer plan. Bottom line: If you want to host your website on an eco-friendly hosting provider, then GreenGeeks is the best choice for you. iPage is a cheap-yet-reliable web hosting provider that offers a free domain name and free SSL with their hosting plan. iPage offers only one shared hosting plan, so you can easily sign up for iPage hosting without confusion. iPage is an EPA green power partner, meaning the data centers and web servers are powered by wind energy, reducing their carbon footprint. Their documentation is pretty straightforward and helps walk you through every aspect of web hosting. Bottom line: If you’re after the cheapest hosting provider in the shared hosting vertical, then iPage is the best bet for you. A2 Hosting is a leading developer-friendly hosting provider that offers endless flexibility and all the features you need to build a website. They offer the industry’s leading anytime money back guarantee, so you can host your site on A2 Hosting risk-free. If you’re not satisfied, you can cancel your web hosting account for a full refund. After 30 days, you’ll be still eligible for a prorated refund for unused service. Bottom line: A2 Hosting offers an unmatched anytime prorated refund for unused service, so you can sign up for a long-term web hosting plan risk-free. A2 Hosting lets you choose from 2 different operating systems and offers free SSD storage. InMotion Hosting is one of the most reliable web hosts that experienced bloggers and webmasters trust and move to every day. Their hosting services come with a lot of desirable features, including SSD storage, unlimited bandwidth, and a free domain. InMotion Hosting has partnered with Trees for the Future, a non-profit organization dedicated to offset carbon footprints by planting trees. Their industry’s leading money back guarantee allows you to try their hosting service, risk-free, for 90 days. Bottom line: You can try InMotion Hosting risk-free for 90 days and get a refund if you’re not fully satisfied. They offer SSD storage and free automated data backups. You can also purchase their reseller hosting plans to further distribute web hosting and make money. WPEngine is a leading managed WordPress hosting service provider based in Austin, TX. They were one of the first companies to offer WordPress-centric managed hosting solutions. As a pioneer in the managed WordPress hosting industry, they boast an impressive customer list including Yelp, Asana, National Geographic, PBS, and MyFitnessPal. They’ve partnered with Amazon Web Services and Google Cloud platform to offer your sites the highest availability, speed, scalability, and security around the clock irrespective of where your visitors are in the world. Their 1-click staging tool enables you to test new plugins and site updates before pushing the changes to your live site. Bottom line: If you’re looking for a managed WordPress hosting service that has a great track record, then WPEngine is the best bet for you. Liquid Web is another leading managed hosting company on the market. 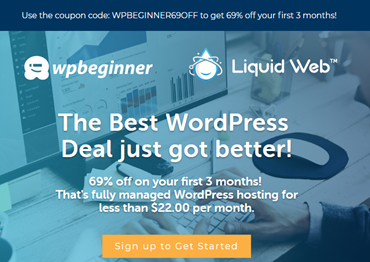 Unlike WPEngine, which focuses only on WordPress, Liquid Web’s hosting services are optimized for popular apps, including WordPress, WooCommerce, premium business email, and more. Their starting price is a bit higher than WPEngine because they only offer managed hosting services for VPS and dedicated servers. Bottom line: Liquid Web is the best choice if you want a fully managed hosting solution that rents custom-built server clusters that are optimized for popular apps, including WordPress and WooCommerce. You’ll need to choose a reliable web hosting provider that guarantees maximum uptime. Uptime is a term used to describe the period your website hosted on a specific server is available online. Usually, uptime is expressed as a percentage of the total available time which is 365 days per year. For example, a website that’s up all year long, 24/7, is said to have 100% uptime. If uptime is 99%, that means the website is down for 3.65 days. While no web host can guarantee 100% uptime, anything below 99.9% is unreliable. Some hosting services offer a refund if they fail to meet their uptime guarantee, but that doesn’t cut it because every downtime is going to cost you. Google continues to emphasize page speed in their algorithm, which makes it one of the most important factors to consider when choosing a web host. While you can find tons of tips and tricks on the web to boost your page speed, none of them are going to help you if your site is hosted on a slow hosting server. If you want to build a fast website, the first thing you need to do is to find a web host that doesn’t slow down your site. To analyze and compare the page speed of some of the most popular web hosts, we’ve created a test site on them and ran speed tests with different testing tools such as Pingdom and Load Impact. Every web hosting service is unique in terms of features. 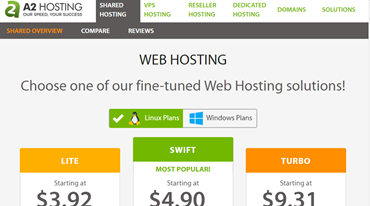 Below are some standard features you’ll find on almost every popular web hosting provider. The key to choosing the best hosting provider is to figure out whether they come with the right set of features you’ll need. 1-click script install: It helps you easily install website script like WordPress, Joomla, etc. on your host. Website builder: While most hosting providers offer website builder as a standard feature, not every builder is created equal. For example, some web hosts only allow you to build a basic websites with their builder, whereas others even let you launch an online store with it. The key is to figure out whether their builder comes with the right set of features you’ll need. Control panel: Examine how your web host lets you manage your hosting account. The most popular control panel is cPanel, but you can also find providers that offer different web-based control panel. Number of domains: The pricing is usually based on the number of domains you can use with a specific hosting plan. Disk space and bandwidth: Hosting companies often advertise that they offer unlimited resources like disk space and bandwidth with their shared hosting plans. However, you’ll have usage restrictions on how you use the resources for your site. When you’re signing up for a service, you’re obliged to adhere to the terms of services of your hosting company. And based on the terms, you’ll only be allowed to use server resources for the normal operation of a small website. Email address: Some hosting companies also limit the number of email addresses you can set up on your hosting account. You might want to review it as well before you dive in to choose a hosting service. Free domain: Companies often offer a free domain while purchasing a new web hosting account. Your hosting company will cover the registration fee of your domain name for the first year. Keep in mind that if you purchase a domain name from a domain registrar like NameCheap.com, you could save your money on the renewal price in the long run. Free SSL: SSL is an industry standard security measure that creates an encrypted link between your visitor’s browser and your website. Installing SSL certificate on your site will add a small green padlock icon on your address bar, which makes your site look trustworthy. Similar to the free domain offer, some web hosting providers also offer free SSL certificate when signing up for their hosting plan. 24/7 support is a standard feature offered by almost all popular web hosting providers. Support is typically offered via 3 options: phone, ticket-based email, and live chat. However, double-check whether your hosting service offers email support for technical assistance. Email or ticket-based support is needed if you want assistance with advanced issues that may take a bit longer to resolve. This way you don’t have to waste your time on Live Chat for seeking assistance. Similarly, another thing you’ll need to take a look at is whether your hosting provider offers live chat support throughout the day. For example, with DreamHost, Live Chat is available only between 5 am and 10 pm PST and they don’t even offer free phone support for shared hosting. If you need assistance via phone, you’ll have to purchase the phone support addon separately. Cheap hosting, also known as shared hosting is sufficient enough to run a new website with low traffic volume. In a shared hosting environment, your website shares server resources including CPU, RAM, etc. with other websites hosted on the same server. This is how hosting providers can keep the costs low. Although you share hosting resources with other sites, your website will be secure and only you’ll be able to access your website files. And the best part is you can always upgrade to VPS or other costly hosting plans if you think your current hosting account isn’t capable enough to survive frequent traffic surge as your needs evolve. Often, shared hosting boasts unlimited disk space, unlimited bandwidth, unlimited domains, and basically unlimited everything. While they claim to offer unlimited resources, you’re required to be fully compliant with your hosting company’s Terms of Service and only utilize disk space and bandwidth in the normal operation of a personal or small business website. You’ll be asked to upgrade your hosting option in case your site exceeds their usage policies. As your website grows and your needs evolve, you might need more control and flexibility over your hosting server. This is where VPS comes in. VPS is short for Virtual Private Server. With VPS, while you’ll still be sharing hosting resources with other sites, you’ll get a lot more dedicated power and flexibility for your site. VPS is the best bet for you if you want to create websites with more secured data or build resource-heavy applications that are growing through rapid expansion. VPS plans often come with improved control panel interface that gives you more control over your server along with many special tools for VPS management. Some hosting providers offer managed and unmanaged VPS hosting for different pricing plans. Looking to build a website with WordPress, but don’t want to undergo the unnecessary installation process? 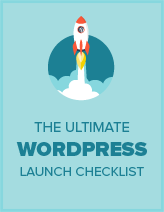 Then, you might subscribe to a managed WordPress hosting plan. Web hosting companies offer different WordPress hosting options, like cheap WordPress hosting, managed WordPress hosting, etc. With a managed WordPress hosting, you can easily get started with your WordPress site without the unnecessary step of manual WordPress installation. You’ll also get an optimized WordPress hosting account that prevents WordPress specific malicious attacks and vulnerabilities out of the box. A managed WordPress hosting could be the best choice for you if you don’t want to perform site maintenance yourself and want to seek assistance from WordPress-specific support experts whenever you need help. If you want to host an extremely high traffic website without sharing your server resources with other websites, you might choose dedicated server hosting. With dedicated server hosting, you get a complete server for your sole use for lease from your hosting provider. This way you’ll get more control over the server’s hardware and operating system. If you do not employ a system administrator or have no experience with servers, then we recommend that you get a managed dedicated server. Alongside doing software updates, they also do server monitoring, offer phone support, etc. Most top websites use clusters of dedicated servers. After our review, we’ve found that Bluehost is the best overall web hosting provider on the market. They offer different pricing plans that perfectly fit your needs regardless of the size of your business. Whether you want to build a hobby website or a new home for your online business, you’ll find their hosting plans reasonable. What we really like about Bluehost is that they grow with your business. Beginner users can start small to keep the costs low and upgrade as their website grows. If you’re looking for a host that offers robust performance, uptime, and a complete set of features at a fair price, then Bluehost is for you! Having helped thousands of users to choose a web hosting plan, we’ve answered just about every question you can think of. This is why we’ve compiled a list of frequently asked questions, so you can find the best web hosting service for your site. Your web hosting account is where your blog’s content and files are stored. When a visitor tries to access your website by typing your web address (or domain name) in their address bar, they’ll be directed to your website’s files stored in your web hosting server. Which hosting plan should I choose when getting started? Shared hosting is the cheapest hosting option available and comes with all the essential features you’ll need to get your website up and running. When starting out, choose the right shared hosting plan to fit your needs. Shared hosting gives you a secure environment to build and grow a small website. Some shared hosting plans also give you dedicated IP address which grants access to your site any time you need and an SSL certificate which provides a secure connection. How can a web hosting company offer cheap hosting without compromising on quality? With shared hosting, server resources like RAM, CPU and disk storage are shared with other sites that are hosted on the same server. This is how hosting companies keep the costs low without compromising on quality. Typically, how much does it cost to get started with a web hosting account? Hosting companies often advertise a huge discount for the initial term. But normally, a shared hosting plan will cost around $100 per year. As your site grows, you can upgrade your hosting to higher hosting options like VPS or dedicated server for handling more traffic. Do I need to get a hosting addon? No. Hosting companies often try to upsell hosting addons whenever you subscribe to a hosting plan. To save on unnecessary costs, you can uncheck those addons before completing your order. When you’re just starting out with a new site, you won’t need those addons. However, you can always purchase those addons later if you find them useful. I want to start a WordPress site. Should I choose a WordPress hosting service? 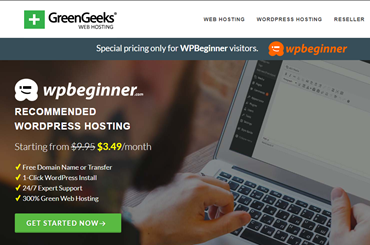 A shared hosting service is the best starting point for small websites and blogs where you’ll get all the essential features to kick start your WordPress site, including a 1-click WordPress installer. If you want to get started with your site quickly and easily, you might choose a cheap WordPress hosting service instead. 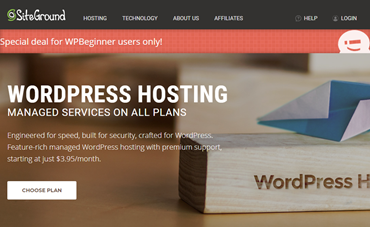 A WordPress hosting account comes pre-installed with WordPress, so you don’t need any additional step to start your site. You can also find that some WordPress-centric hosting companies, like WPEngine offer expensive managed hosting services. It’s built specifically for running WordPress websites on it, and it’s optimized for speed, security, and scalability. Such services also come with many enhanced WordPress-specific features, which are not necessary for users who’re just starting out. Do I need to have a domain and hosting from the same provider? Not necessarily. You can get a domain and hosting from different providers. Some hosting providers allow you to register a domain name for free when purchasing a hosting account. When registering a domain from your hosting provider, the benefit is that you can manage both the domain and hosting from a single account. Alternatively, you can buy a domain name from a domain registrar, like NameCheap. In the long run, buying a domain name from a domain registrar will be profitable for you because the domain renewal cost will be lower.